After more than four decades running a successful business, Ronald Powell decided it was time to make a change. Though he was a talented Technician who enjoyed his work, Ronald wanted to approach his business like a true Entrepreneur. Working with his EMyth Coach helped him discover his vision for his business and his life—and put that vision into practice. 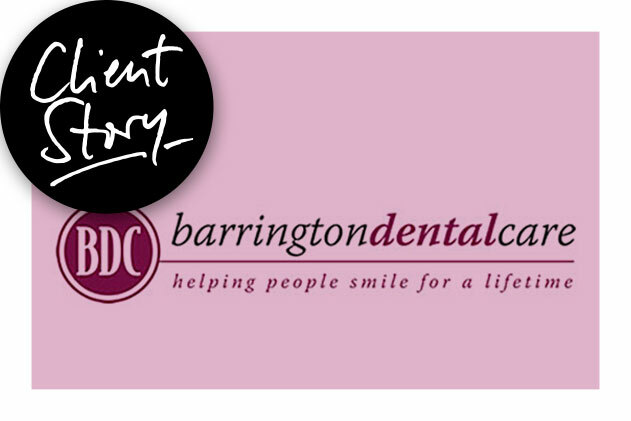 Barrington Dental Care is a high-end dental practice. We excel at cosmetic dentistry and provide people with the smiles of their dreams. We approach dentistry from a long-term perspective and focus not just on the needs of our clients, but on their wants as well. My mission is to give each patient the most personal dental experience they’ve ever had, and I’ve dedicated more than 40 years to that mission. My undergraduate degree is actually in business administration, but even though I have the background to look at my business from the perspective of an Entrepreneur, I’ve spent a good portion of the last four decades as a Technician. Eventually, I felt the need to do something different. I didn’t want to quit dentistry, but I knew it was time for a change. After years of being the Technician, I wanted to learn how to manage, run, and develop a small business like a true Entrepreneur. I visited many consultants for help, even some focused specifically on dental practices. But EMyth offered something different; their program addressed the “total package” I recognized the value in an approach that didn’t just touch on certain aspects of my practice, but instead provided a comprehensive business development plan. Working with my EMyth Coach was an exceptional experience. The perspective he provided made all the difference. When I first started, he told me that I’d need to work at least one hour per day on the business. It seemed like a lot at the time, but now I realize what a difference it makes if you dedicate that kind of time to strategic thinking, even just two or three times per week. Even knowing that now, I admit it wasn’t always easy. But whenever I’d struggle, my coach would always give me another way to approach things. He’d say, “Well, why don’t you look at it from this direction?” And just that little nudge would open up a whole different avenue for me. Of all the work I did in the EMyth program, the Values, Passion. and Purpose processes were what really changed the way I approach my business. They also impacted my employees, some of whom have been with me for nearly 20 years. I was surprised by how positively they’ve responded to some of the changes that resulted from the program, like scheduling regular Employee Development Meetings. All too often, you just bring people in and train them to do a job without recognizing that they’re not just there because of a paycheck—they’re there for a lot of reasons that go beyond employment. Through these meetings, I’ve been working to discover those reasons, and to help each team member create their own value statement. What they’ve shared with me has really been incredible. My coach helped me discover and communicate my vision for my business. I know I have a talent for dental procedures, but I’ve also got a talent for organizational strategies, and with coaching I’ve realized that I have a certain visionary talent, too. Since starting EMyth, I’ve begun to consider myself a business person, not just a dentist. My whole perspective about who I am at this point in my career has changed dramatically. I’m still a dentist, but that’s not where my focus is anymore. My focus is now on running my business.